"If you need one book that's crammed with clinically excellent, genuinely well informed and useful ideas for working with family relationships in all their permutations, this is undoubtedly it" Prof. Colin Feltham, Sheffield Hallam University, UK This book is a practical skills-based introduction to relationship counselling. It covers couple counselling for parents, whole family counselling and counselling for children and young people with regard to their relationships with siblings, peers, and parents. The text also includes: o an introduction to relationship counselling theory and concepts o discussion of the importance of relying on a clearly defined theory of change o ways to address parenting issues o an exploration of confidentiality, disclosing inappropriate behaviour and personal safety. 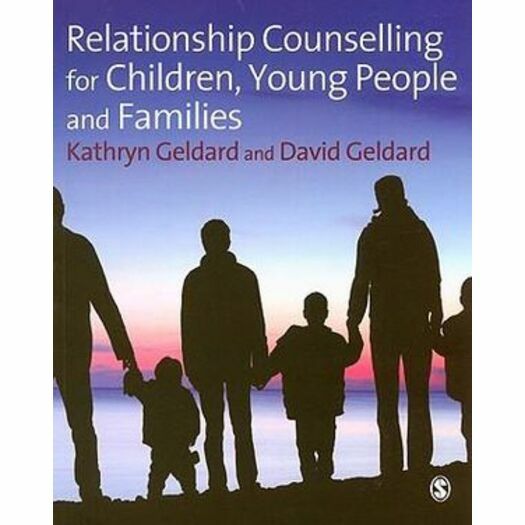 Kathryn and David Geldard present an integrative model of relationship counselling which combines skills and strategies from a number of approaches. Their practical guide integrates individual and subgroup counselling with whole family counselling, providing much-needed material on methods and approaches for communicating with children and young people.The book will be invaluable to new relationship counsellors learning the skills required in order to bring about change, and will be a useful reference book for experienced counsellors.